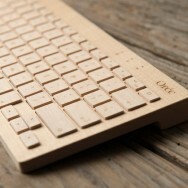 Working becomes really fun with the wooden keyboards by Orée. 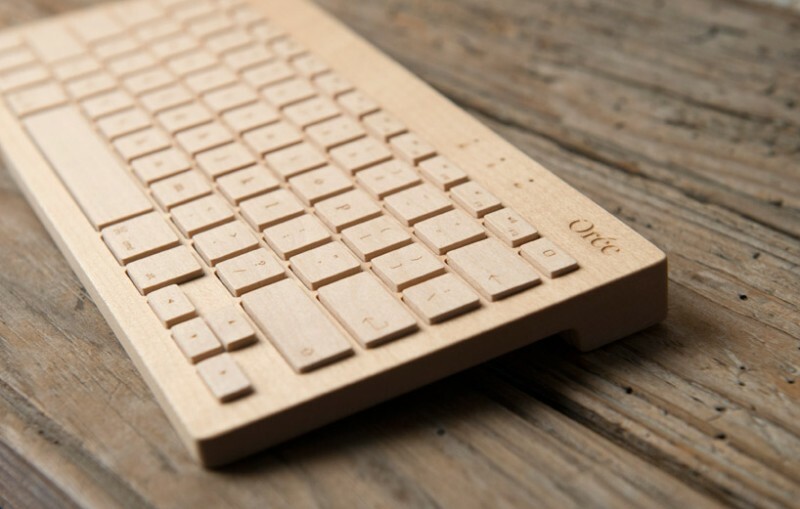 The bluetooth equipped wireless keyboards are made from a single piece of premium maple and walnut. Result: elegant aesthetics to adore! 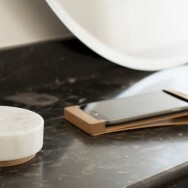 Eco-designed, crafted and hand-finished in France. Each unit is cut into three sheets to preserve the wood grain across the shell and separate keys to minimize waste. 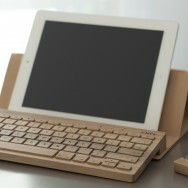 The keyboards are conceived as a universally compatible device & work with any tablet, smartphone or PC. Orée keyboards are not the only goodness to discover. 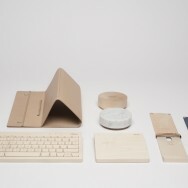 The design team also created a wooden trackpad and a wireless power pebble, which enables you to charge your smartphone just by placing it on the top.The wireless power sleeves -made out of wood and tanned leather- are designed to protect our phones and to charge them using the power pebbles.